Savannah is filled with great restaurant choices. There's always a new place to discover and I love all the different flavors and options we have to pick from. 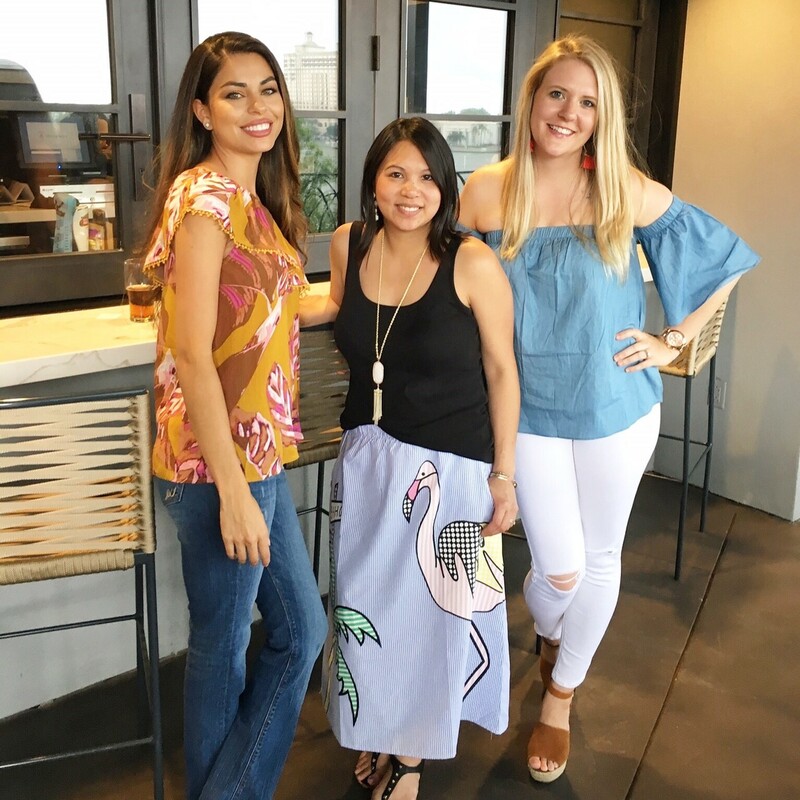 Recently, I had lunch with my girl friend and met up with a couple Savannah bloggers/influencers at a new restaurant called Moss + Oak. 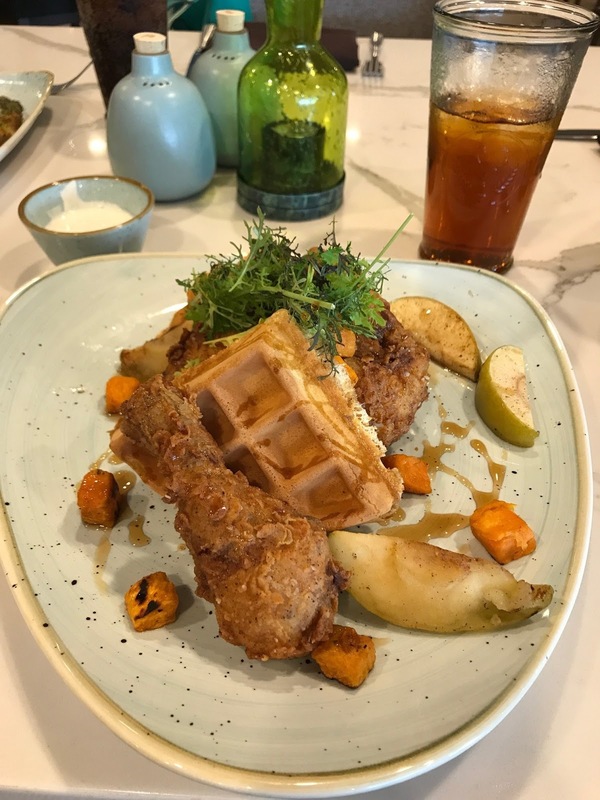 The restaurant is located in the Hyatt Regency in the heart of downtown Savannah. It's a great atmosphere with an outdoor patio with lounge seating and fire pits giving you a great view of the city. The menu items include hand selected honey and fresh herbs from the rooftop garden and honey bee hive! How cool is that? 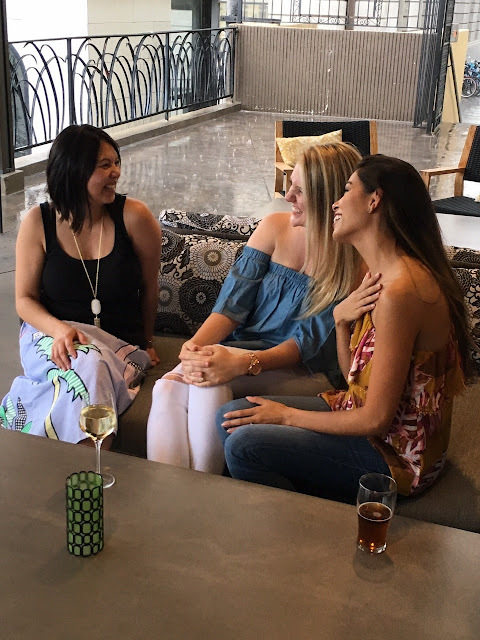 We were able to meet the executive chef, James Morin and learn how his vision for the menu came to life. His menu showcases simple seasonal ingredients supplied by the best local farms. 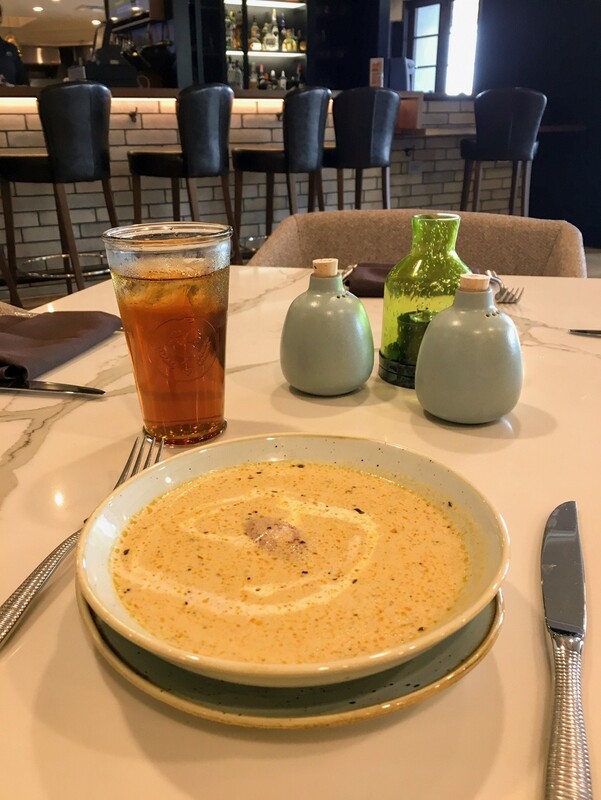 During our lunch we enjoyed the She Crab Soup and I had the Chicken and Waffles. 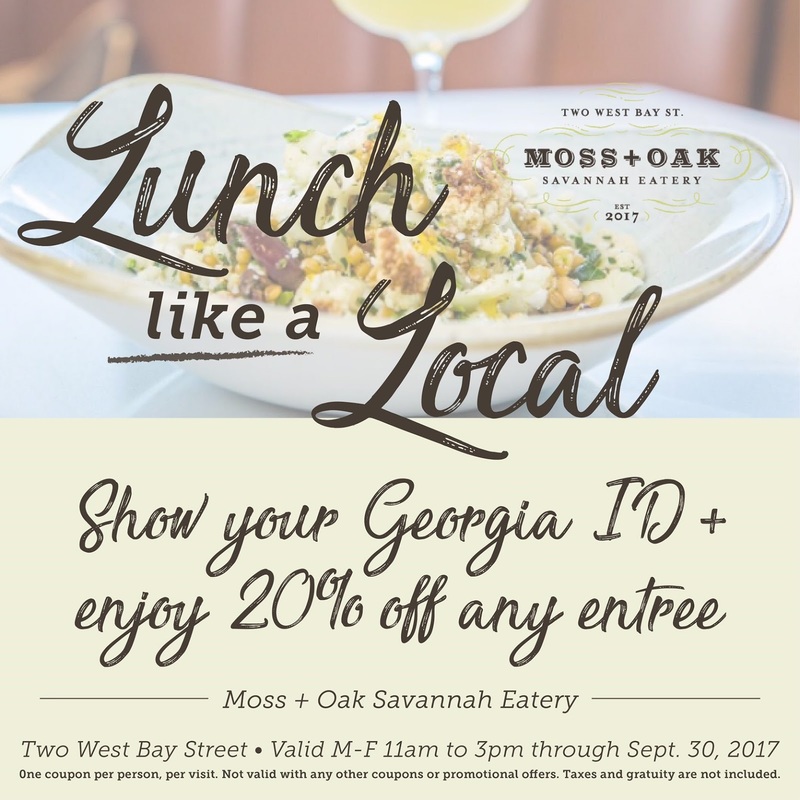 Now through the end of September Moss + Oak is offering a great lunch promotion. Receive 20% off any entrée when you show your Georgia ID. This is a great promo so be sure to try it out!